DINOCALYPSE NOW is written in the style of a 1930’s pulp novel. Inspired by the Spirit of the Century role-playing game from Evil Hat Productions, the book features the heroes of the Century Club defending FDR, and ultimately all of time and space, from extinction at the hands of dinosaurs, psychic dinosaurs, and warrior apes. Did I mention the book has psychic dinosaurs? What does a kid with a box full of action figures do? Dump them all out and make them battle it out for supremacy over the whole family room/yard/backyard pool/bench seat in the back of the conversion van on family vacations. I even staged a battle once while on a fishing boat in Canada. And not just the Centurions. This book has an army of evil apes. Time travel. An old wizard dude who controls all of that time. Marauding neanderthals. And, oh what the hell, the Lost City of Atlantis shows up too. So as I read about Mack Silver piloting his plane “Lucy” through a flock of soaring dinosaurs, I imagined The Love Boat’s Yeoman Purser Burl “Gopher” Smith piloting Bobba Fett’s ship through a long ago battle for supremacy over my living room. I’m right there again, an eight-year-old Centurion grappling with my own dinocalypse. Thanks for the memories, Chuck. It’s ben a little distracting around here what with all the banging and clanging coming from down the hall at Muppet Labs. Who knew being where the future is being made today could be so damn noisy? Still, we’re quite proud here at Pepper HQ to be able to announce our own abomination in the name of science. Ladies and gentlemen, I give you…FRANKEN-DAD! Fear not. He’s gentle. He’s harmless. Yes, a little cranky in the morning and around snack time. And yes, he breaks lots of stuff, but then he fixes it. In honor of Father’s Day this week, I have created for you the ultimate Father’s Day gift: THE PERFECT DAD. The shell is Jack Carter from TV’s “Eureka”, father to Zoe – tall, fit without being obsessively muscular, close cropped-no nonsense haircut. The befuddled grin and stubble top off the look. You can put him in jeans and he’s ready to go, but he can do a suit if you want the white-collar dad instead. The wisdom is courtesy of “Brady Bunch” patriarch Mike Brady. A blended family of eight kids tasked with coming up with yet another set of hijinks each and every week drove mom Carol Brady and housekeeper Alice batty. Not Mike Brady though. Everyone would be freaking out about the latest crisis – Marsha’s busted nose, Cindy’s missing doll, Mommy can’t sing on Christmas morning, whatever – and Mike would shuffle in and be all like, “Chill, dudes. You see kids…” then he’d tell them what’s up and how to fix it. Everyone would go, “You’re right, Dad!” and be all happy again. Then Mike Brady could go off camera and drink or whatever he did to make it through such a demanding life. The clothes are courtesy of Cliff Huxtable . Think about “The Cosby Show” and you remember two things, right? 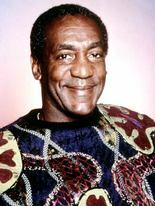 Pudding pops and the sweaters Cosby always wore. They just said, “I’m a dad,” didn’t they? The urge to avoid confrontation and fix stuff comes from Tim “The Tool Man” Taylor. That guy was always rebuilding the lawn mower for more power, souping up the vacuum cleaner, whatever. Something would explode or otherwise meet an untimely end and someone in the family would get pissed. Tim wouldn’t know what to do so he’d go chat over the back fence with Wilson who’d give him marching orders and Tim would go carry them out. Our perfect dad, we believe, harnesses the Tool Man’s creativity, tempered by Mike Brady’s wisdom. If not, well, double-check your homeowner’s insurance. So, before I put Franken-Dad away until next year – Wave, Franken-Dad! *Franken-Dad waves maniacally* – let me just say this: It doesn’t matter if your dad is tall or short, fat or thin, smart or dumb as a politician, funny or dry as paste left in the school supply box too long. He’s a dad, he does his best. And if he doesn’t, well, help him. He needs it. Up front, a confession: I pretty blatantly ripped off the idea for this blog post from the author Joe Hill because he wrote one on the same topic here: http://joehillfiction.com/. Thanks, Joe! Joe is a successful, published author of many great things and yet he still aspires to do more. I, on the other hand , am the author of many (dare I call them great myself?) things, only a few of which have been published or performed. It occurred to me, though, that this post would still be a worthy exercise. Maybe the act of committing to a list of things I still want to do would provide some motivation for those days when the words in the things I’m already doing don’t flow so easily, when the struggle of toiling in obscurity with my latest project (not total obscurity – there is my novel IN THE ST. NICK OF TIME and a handful of short plays.) threatens to push me into vegging out on the couch in front of reruns because it’s easier. WRITE A SCREENPLAY – I love writing plays. The challenge of telling the story completely with dialogue and stage directions is fun. There’s no room for lush descriptions and back story you might indulge in in a novel. Every word on the page in a play script goes on the stage. I don’t think, fundamentally, a movie script is much different, yet I’m intimidated. Why? Maybe because the scope of a movie – typically – is bigger than a play? Maybe because I’ve been on stage and have interacted with actors and playwrights and theatrical production people, but have never been behind the scenes of a movie? Maybe. I’ll work up to this one. WRITE A TV SERIES – I don’t mean an episode of a TV series. I mean a whole season or series, start to finish. I think it would be fun to create a show on paper, cast it, see it come to life and then guide the actors/characters through multiple episodes or seasons. I’d either write something quirky like “Community” or “The Office” or something dramatic like “Sherlock” or “Breaking Bad”. Or maybe just something fun like “Doctor Who” or “Eureka”. WRITE A GRAPHIC NOVEL – This one will be tricky. I can’t draw worth anything. I have a hard enough time with hand-writing something, much less trying to draw something recognizable (sorry, anyone on my team in a drawing game). Still, I envy authors like Neil Gaiman, Stephen King and others with the vision to see their stories in words AND in drawings. It’s a skill I’d like to develop. WRITE A NOVEL…BUT WITH A COLLABORATOR – I’ve written lots of fiction by myself, but I’m a little intimidated by the idea of writing with a partner. So much so, I’d like to try it someday. With the right project, two heads probably would be better than one. Just got to find the right one. Right. Enough dreaming of the future. Back to work on the present. What does your list of favorite movies say about you? As anyone who tries to shop for me will tell you (in frustrated, gritted-teeth tones), I have wide-ranging tastes in movies, books, and music. I think this is good. It should make it easier to find something I’ll like. Others aren’t so sure. Planes, Trains and Automobiles – http://www.imdb.com/title/tt0093748/ – Steve Martin as an uptight stiff and John Candy as the bigmouth buffoon thrown together on Thanksgiving on a cross-country road trip. 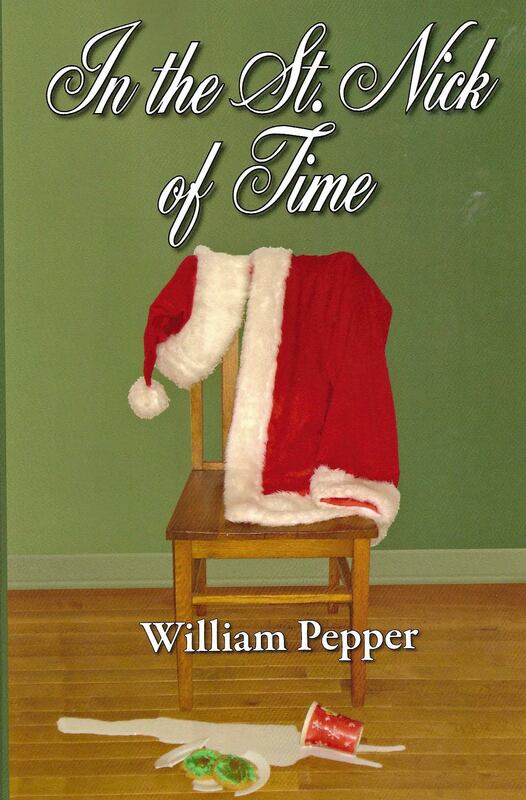 An unlikely friendship is forged even as the world seems to conspire against their getting home. Martin as Neil Page: “Those aren’t pillows!” Hilarious. I love these movies. I watch them all faithfully at least once a year and look forward to doing so the rest of the year. I have other favorties. There’s a whole set of holiday films I always watch at Christmas. There are others that I will always stop to watch on cable when I channel surf: Back to the Future, Indiana Jones, Star Trek. But these four movies are the ones I always come back to; the ones I look forward to watching all year. These are the ones I think about the most and can quote from the most. So, what does that say about me? I dunno. But I think what it says is that I’m drawn to road-trip movies for one. Three out of the four center on some kind of road trip. I can see that. You really get to know a person – see them at their best and worst when confined together on a train or in a car, when you don’t have the normal distractions of daily life to act as a buffer between the two of you. There is huge potential for humor and drama there and these movies play that expertly. The geographical journey is a metaphor for the emotional one and somehow that just resonnates. Go figure. The other commonality between these four movies is exploration of friendship and self-identity. All these characters have their opinions about themselves and their opinions about their friends/families tested. I think that’s healthy. We can get bogged down in the detritus of life. I think it’s good once in a while to step back and reassess what’s good and not so good in your relationships and use that to grow. Characters in movies have to grow and change or there’s no story. People in life have to grow or change or there’s no, well, life. So what are your favorite movies? What do they say about you?